PRESIDENT Nicos Anastasiades on Friday said Cyprus and Russia would continue to cooperate without paying any heed to international reaction to the agreements struck with his Russian counterpart Vladimir Putin. One of the agreements, formalising the use of Cypriot ports by Russian navy ships for anti-terrorism and humanitarian reasons, has caused particular consternation abroad, especially in Britain, which maintains two military bases on the island. The British Foreign and Commonwealth Office (FCO) had strong words for Cyprus on Friday, according to a report from the Cyprus News Agency. It cited FCO sources in London as saying that although the agreement was a matter for Cyprus, when set in the context of the West’s stance on Russia over Ukraine, the move was a cause for concern. The FCO source said London believed the European Union position on Russia’s actions in Ukraine were clear. “We acknowledge the unity which Cyprus has demonstrated with the EU on this,” said the official. “In light of the current problems it is not the time to extend a hand of friendship to Russia until it shows willingness to fulfill the Minsk agreement,” he added, referring to the agreement signed in the Belarus capital aimed at a ceasefire in eastern Ukraine. An FCO spokesman said later on Friday that EU unity in the face of Russian aggression was important. “We have been clear that as long as Russia continues to illegally destabilise a neighbour, it cannot be business as usual. That is why the UK has pushed for tough sanctions and they are working. Now is not the time to ease the pressure on Moscow. We and our EU partners have been clear that there needs to be actions not just words”. But Anastasiades, who has felt let down by the West’s failure to come out strongly enough against Turkey’s violation of the island’s exclusive economic zone, on Thursday said “many of the friends” showing intense concern for other countries, had remained silent on Turkey’s violations, adopting a policy of double standards. He said although he recognised the concerns of some countries over his Russia visit, Putin had not asked “for the slightest thing that would put us in a difficult position with our partners, or our partners across the Atlantic”. On Friday, the last day of his visit, and following a meeting with the Vice-Governor of St Petersburg, Alexander Govorunov, Anastasiades repeated that the agreements signed with Russia on Wednesday were “not directed against anybody”. “On the contrary, we seek through the strengthening of relations, through the deepening, and even the expansion of our historic and long-standing relations, to create conditions that will allow many areas to have peace and stability,” he said. However, he added: “We [Russia and Cyprus] will cooperate without paying attention to who is reacting or who may have concerns”. Anastasiades is due back in Cyprus today Saturday. International media also hyped up the concerns. A least two foreign publications used terms such as ‘Russian military foothold’ and ‘Russian beachhead’ to describe the deal, while some British MPs said they were disappointed. Tory MP Richard Ottaway, chairman of the Commons Foreign Affairs Committee told the Daily Mail the agreement with Cyprus “is going to make renewing sanctions against Russia … much more unlikely. “Putin is trying to drive a wedge between countries in the EU,” he said. The paper, which described Russia as having ‘gained a military foothold in Europe’, also quoted a senior British Army officer. “This will be watched closely by London. We know Russia has long coveted a naval base in Cyprus. This is another sign we are creeping back into a new Cold War,” he was quoted as saying. Newsweek online said: “European governments are facing the prospect of a Russian beachhead in the Mediterranean” after the Cyprus-Russia deal. It quoted General Chuck Wald, deputy former-US Air Force commander and deputy commander of United States European Command, as saying the new agreement “may seem innocuous… but for Putin it is another piece of the puzzle”. 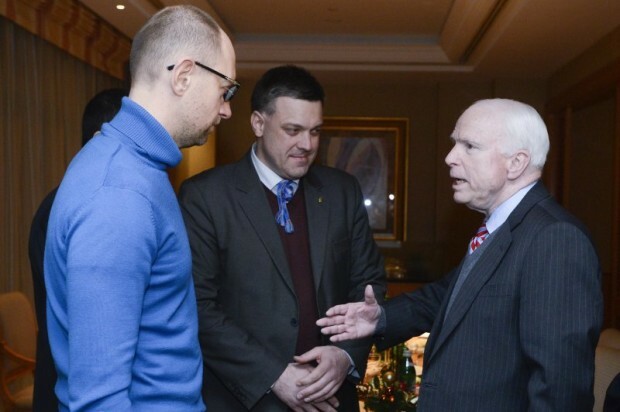 “It is like what he does in Ukraine. He dictates his own foreign policy and he does these things in a non-splashy way. It is part of his wider scheme that seems innocuous and piecemeal, but he has a lot of patience and nobody is stopping him. “It is all part of the bigger picture of regaining the old spheres of influence,” Wald said. He said that statements by both Cypriot and Russian leaders that the agreement was designed only for cooperation on anti-terrorism and on humanitarian activities did not stand up to scrutiny as Putin had used the same “explanation” for interfering in the Ukrainian conflict. “Putin keeps pounding on the word ‘humanitarian’ and that ‘it is all right, because it is humanitarian’ until it becomes subliminal.” The deal with Cyprus, he said, “allows Putin to regain access to a Mediterranean port and it also gives him an intelligence presence too because they can observe what the Brits are doing,” he added, referring to the RAF base at Akrotiri. Newsweek also quoted a former British army officer, major general Jonathan Shaw, as saying he was alarmed and found the agreement “deeply worrying”. CNBC Standard Bank emerging markets analyst Timothy Ash warned that Cyprus’ “renewed cosy relationship with Russia” could be a “dangerous” and “irritating” card to play with Europe and the US. “I think the message to Washington DC and Berlin from Putin is clear, we have allies in the heart of the EU, and that we can use these relationships at will to counter any actions you may like to take with respect to Ukraine,” Ash said. He said Russia was using its close ties with Cyprus as a bargaining chip with the international community. “The message will be ‘try more sanctions iterations at your peril, as you might see European unity torn apart as we will play the Hungarian, Cypriot and Greek cards at our pleasure’,” he said. “For Cyprus, this might prove to be a dangerous card to play. This will irritate the US no end, and might see a less supportive US approach over the future of northern Cyprus,” Ash added. Tsipras: European conservative forces tried to destabilize the new government! In his speech at the central committee of his party on Saturday, the Greek PM, Alexis Tsipras, revealed the plan of the European conservatives together with Samaras administration, to impose tremendous barriers to the new government in order to force it to retreat from its red lines, or, to throw it from power as soon as possible. The most aggressive conservative forces in Europe had set a trap to the new government, in cooperation with Samaras administration, to destabilize it, “throw the new government to the rocks”, as he said. The goal was to “drown” financially the new government. This would lead to the short-life of the Leftist government, the Leftist “parenthesis” as they call it. Tsipras said that his government went to negotiate with very narrow timelines, empty funds and banks close to the margin. The papers and the emails were rigged by the commitments of the previous government and its protectors. The knife of the financial suffocation was upon the new government and the country. He also said that the opponents have failed to predict that SYRIZA would gain a percentage close to form an autonomous government, that the Leftist party would form a government in such a short time without their favorite political formations, and, that the new government would have an unprecedented support by the Greek people after the elections. These factors helped SYRIZA to avoid the trap that has been set. * They’ve already mobilized their puppet Rajoy as they see that Podemos are coming in Spain. They will use anything to prevent a wide Leftist coalition in Europe. Their mainstream media do the propaganda every day, but they know how to use even more dirty tricks in case that things go “out of control”. The Egyptian and Turkish presidents are scheduled to visit the Saudi capital this week in what appears to be an attempt to establish a new Sunni front in the ever-shifting political scene of the Middle East. The newly selected king of Saudi Arabia, King Salman Abdul-Aziz, will play host to the two presidents in an effort to restore ties and stabilize regional Sunni factions. With growing political influence backed by its economic might, Saudi Arabia has become a major player among Arab nations. Egypt, once in a leading position in the Arab world, has been challenged after waves of domestic turmoil. Saudi Arabia entered a different period when King Salman took power. Shortly after becoming the 6th Saudi monarch, King Salman began reshuffling decision makers in Riyadh and was widely expected to change foreign policy routes. Riyadh has been a vocal opponent of the Syrian government of Bashir al-Assad and has helped fund Sunni rebels against the country’s Shiite minority rulers. The fall of Assad dynasty would inevitably weaken the increasing power of Shiite Iran, which has historically challenged Saudi influence in the Gulf region. This week, Turkish President Receb Teyyip Erdogan and his Egyptian counterpart, Abdifatah Al-Sisi, will separately meet with the Saudi King in Riyadh. The reconciliation of the two presidents seems to be a challenging task for the Saudi King as Erdogan publically slammed the Egyptian president for overthrowing the Muslim Brotherhood leader Muhammad Morsi last year, as Egypt’s elected president. Relations between Ankara and Cairo have sunk even lower since then. But new challenges in the Middle East may overcome the differences between the two Sunni leaders. King Salman has been taking a tougher position against Iran and Syria. The fall of the Assad regime and the disintegration of the Islamic State (ISIS) is something Erdogan and the new King seem to be hoping for. The rise of ISIS and its barbaric campaign in Syria helped Assad cling to power longer than expected. But with the new King in place, Turkey and Qatar who have been aiding the Syrian rebels will now find a powerful partner in Riyadh. The challenge for the King is to unite the Sunni leaders of Qatar, Egypt and Turkey in the same vanguard. Iran has been showing its political weight in major Arab capitals including Damascus, Beirut, Baghdad and Bahrain. One decisive way for the Saudi King to restore the balance of power with Iran seems to be the inescapable removal of Assad. The Arab world would need the support of Israel, an archenemy of the Syrian regime, to push America behind the efforts to move Assad from power. Turkey could influence Israel but only after restoring ties as the two countries diplomatic relations have been at historic low since the Gaza flotilla raid in 2010. Erdogan hopes to mend fences after Israeli elections later this month. If King Salman can unite Erdogan and Sisi, and if relations between Turkey and Israel are normalized, a Sunni front that has economic means and political influence will be inevitable. If such camp emerges, America will have good reasons to support it. For the time being, the arrival of the Turkish and Egyptian presidents in Riyadh later this week, regardless of the result, is hardly good news for the embattled Syrian president and Iran. Headlines around the world have carried some variation of the story: the murder of Boris Nemtsov. Each of these includes some retelling of the pertinent facts: what, who, where, how … but the real question is ‘why’. The answer to this question, or rather, what the west insists is the answer, will tell us a lot about the US’s plans to escalate the tensions in Russia over Ukraine, and beyond. Whether the actual shooting was done by contract or not, is also not very important except when looking at forensics of the crime scene, and the immediate circumstances themselves. These might tell us certain things, except that in cases such as this we must always be mindful that looking like an unprofessional job – such as in this case – would be something a professional would do to throw the scent. The first question to ask is ‘cui bono’, in this case we know that Russia, in particular Putin, has nothing to gain. 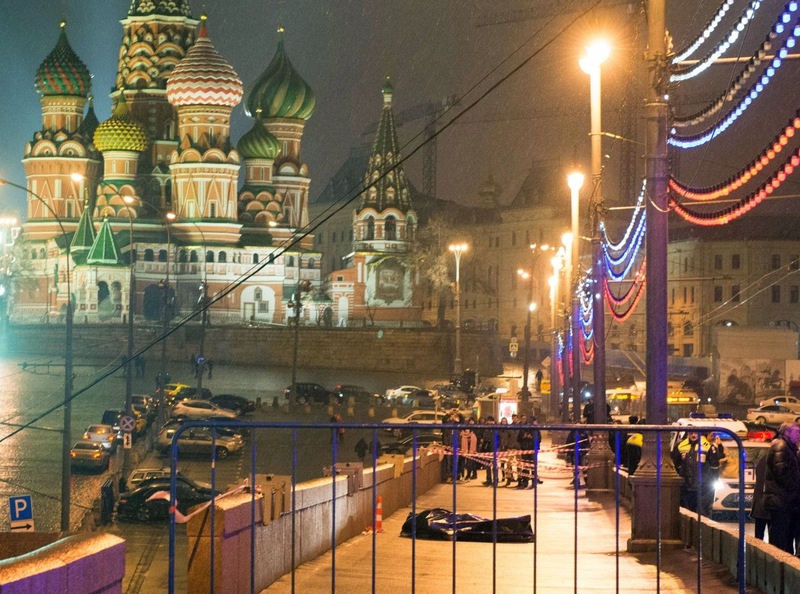 The killing of Nemtsov under any of the circumstances does not make any sense from the view of Russian interest. Politically he did not pose a real threat, alive. With less than 5%, his ticket and the Republican Party failed to garner enough support to be sat in the Duma. With approval ratings above 85%, Putin is not in the position to need to resort to these kinds of tactics. While he held an important position in the 1990’s under Yeltsin as First Deputy Prime Minister for about a year until 1998, his political career since the early 00’s has been of little significance and has not inspired mass support. 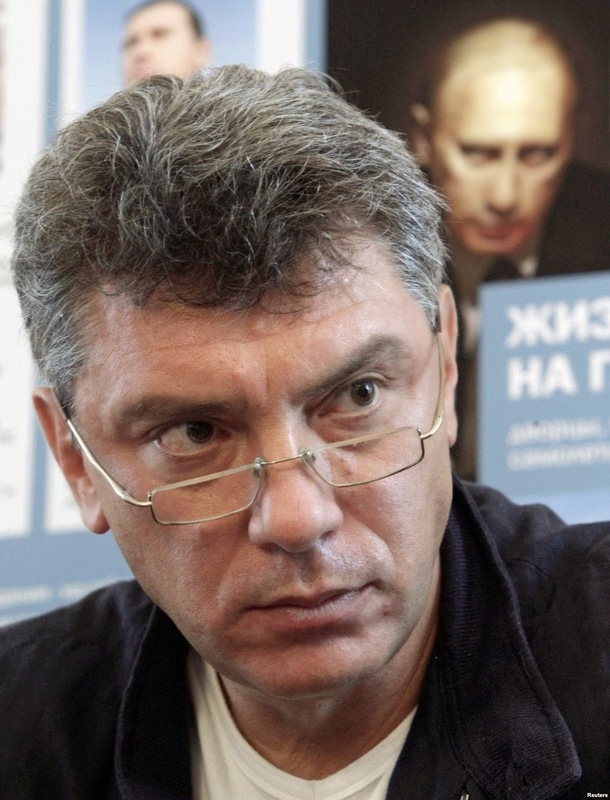 While Nemtsov was one of the US’s favorites, he is not a favorite with the Russian people. The actual ‘runner up’ party in Russia, which is projected to surpass Putin’s ruling party in the event of a serious change, is the Communist Party of Zyuganov. But this narrative cuts against western interests, and is at odds with the west’s narratives about the Cold War and its results. We can see already statements made by Obama and Poroshenko, Canadian Foreign Minister and also deputy general secretary of NATO happened very quickly, uniformly, and seem to be following a procedure. These statements from NATO and foreign governments are outrageous, but not surprising, because they imply that the Russian government is behind them. Why would the murder be ‘condemned’? Besides that all murders are condemned, generally, by the societies in which they occur (hence there are laws against them), why would this particular murder be ‘condemned’ politically without knowing if there was a political motive at all? 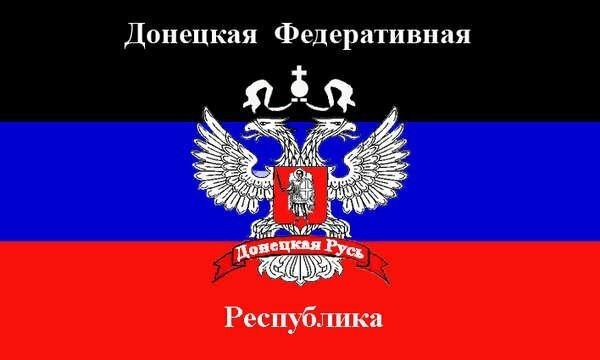 As we know, on March 1st, tomorrow, there will be another attempt by the pro-US forces and their liberal allies to launch a Russian “Spring”, also called the ‘Anti-Crisis March’. 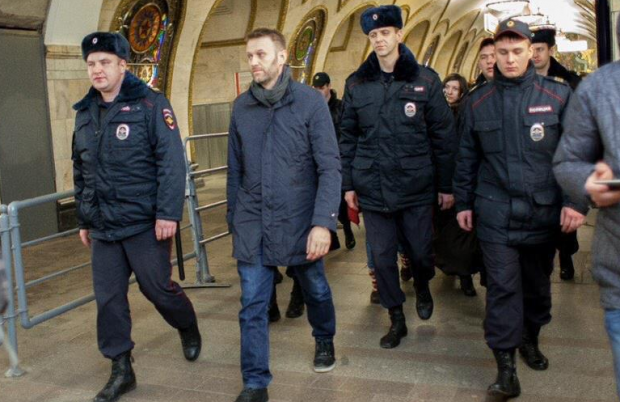 With this fresh murder just 36 hours before the March, we might expect to see the martyrdom of Nemtsov highlighted. Likewise, on the propaganda front, the patriotic scene has co-opted the term ‘Russian Spring’ to mean the opposite of what the US has branded it in places like Egypt, Libya, and Syria. Now it means a movement to push back the US’s hegemonic schemes, including its use of the Color/Spring tactic. The biggest concern now for this Sunday’s march is not the turnout, or how it will be spun in the west. The problem on the propaganda side of this action so far is that it is quite useless and incomplete. Russia’s present political stability and the popularity of Putin is not in the hands of western media. This represents a monumental change from the last days of old media during the collapse of the USSR, when BBC and CNN presented the spectacle of objective and neutral reporting. Russians are not losing sleep over this murder, and the outcome of the investigation is not related in any way to their general support for the present government and its policies. 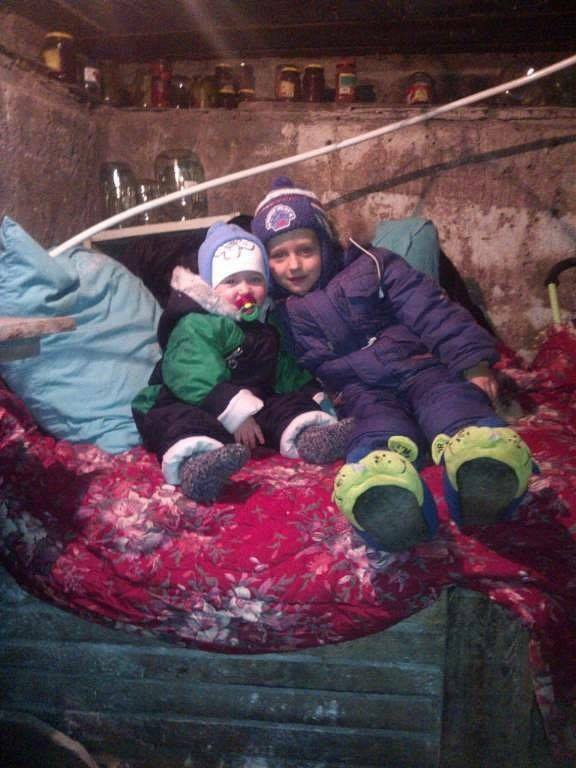 Russians have other things to do, places to go, work to get done, and lives to live. Most didn’t like him, and only see it as a tragedy, perhaps even a US plot. Those who like him will blame the state, as they hold the state and Putin responsible for much of everything else. All of this is true also of Sunday’s planned march. All of this means that we haven’t heard the end of this yet. It is difficult to see how increased sanctions can be pulled out of this murder, but if there are, that should be no surprise. Past sanctions were based on less. Still, Europe has grown wary of sanctions and any further sanctions are likely to be symbolic, as were the last round.